Experimental Metal/Rock project. Designing the captivating elements of doom, progressive, melodic death metal, black metal and churning a deep, unwavering atmospheric aura to create a sound that is both remarkably original and crushing. Soaring acoustic passages passing through dark tunnels. Heavier, groovier sections demanding the neck to break in a beautifully crafted motion. 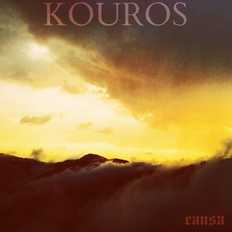 Gathering influences from all sources, musical and otherwise, Kouros whips up edifices of dissonant consonance.